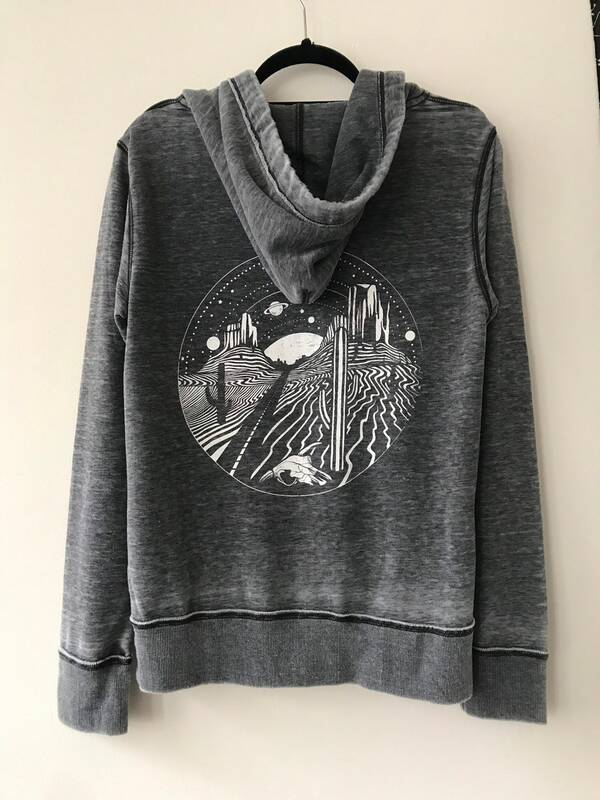 Hand drawn pen and ink Dark Desert Highway design printed on an acid washed unisex Zen zip up hoodie for both men and women. 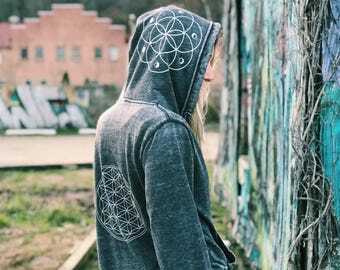 This extremely soft, wonderful zip-up zen hoodie is completely unique and one of a kind, printed on the back with sacred geometry Flower of Life print. 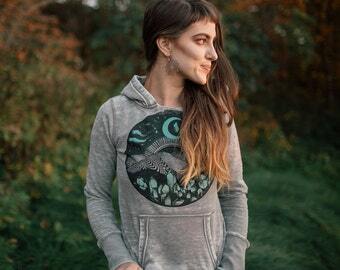 This acid washed hoodie (cotton/poly blend) has been single-died for a vintage look - and to ensure that each hoodie completely one of a kind. 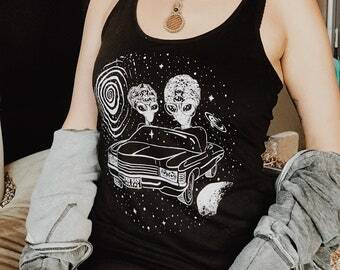 Women should size down as the unisex style runs large.